This physocarpus is dressed to the nines! 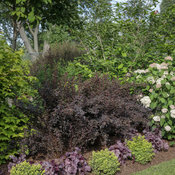 Ninebark, that is - because Summer Wine® Black has the darkest, most dramatic foliage yet. 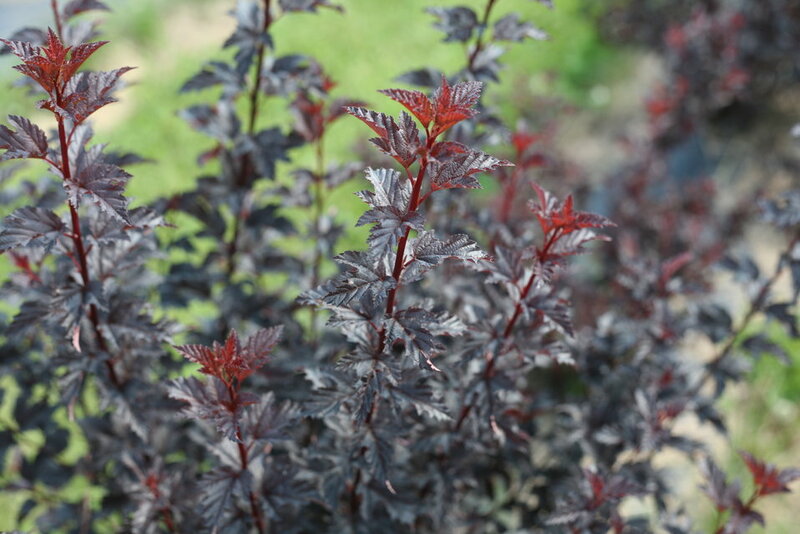 With its rich, saturated color and versatile habit, it's the ideal choice for accentuating your home's exterior. 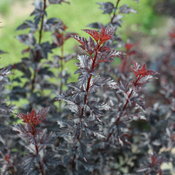 Spring brings white flower clusters to contrast with the nearly-black foliage. 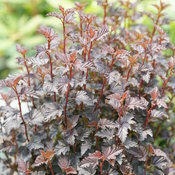 Upright stems and small foliage gives a fine textural effect. Available in better garden centers in spring 2019. 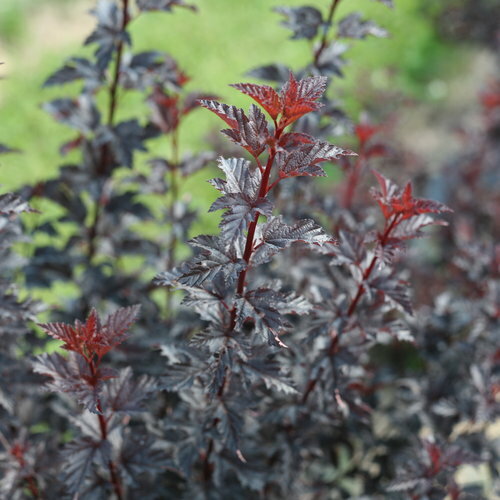 - Very dark foliage looks striking in the landscape. - White flowers cover the branches in spring. - Easy to grow and low maintenance. 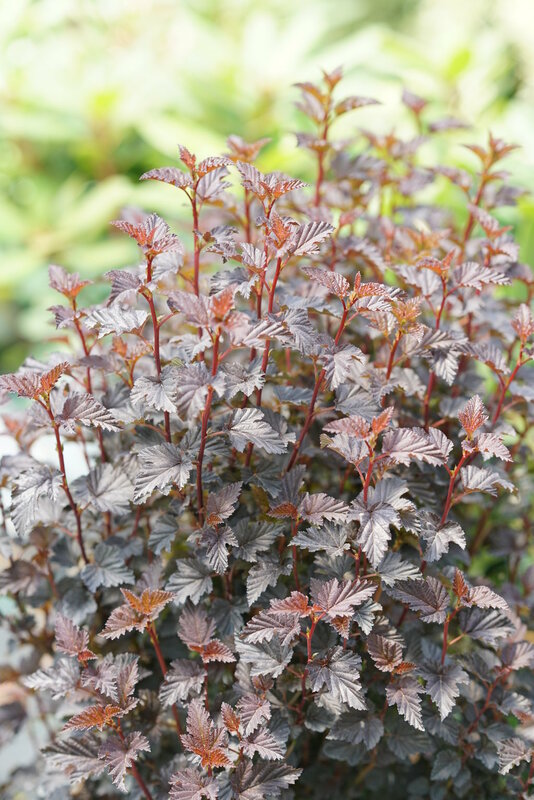 Ninebark is a versatile landscape, but should be sited in full sun with plenty of space around it and good air circulation to avoid any leaf problems. 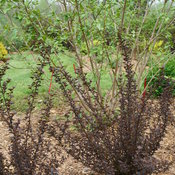 Ninebark is best left unpruned, except for removing any heavy old wood every few years or so. 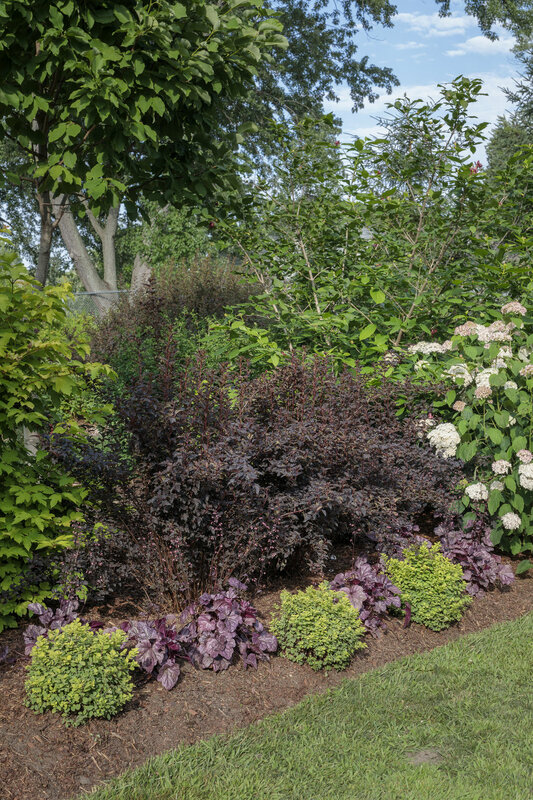 Avoid trimming it back, which will cause it to branch out and distract from its naturally elegant habit. Plant only in full sun. 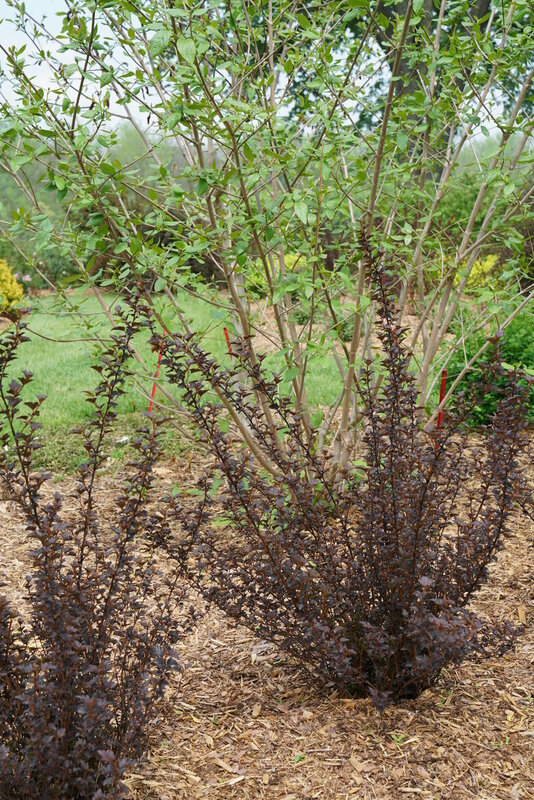 Ninebark is native to all but 13 states and all of eastern Canada.